Midtown Alliance and MARTA are partnering on another fun project to create a unique sense of arrival at an area transit station. Building on the two-year success of a collaboration with the Woodruff Arts Center to introduce art and creative installations at the Arts Center station, the next stop for the transit station enhancement partnership is the Midtown station’s south plaza, fronting Peachtree Place. Announced earlier this year via a call for interest, the Midtown station enhancement project attracted creative submissions from more than 40 artists from all over North America, three of whom were asked to produce site-specific proposals for the station. 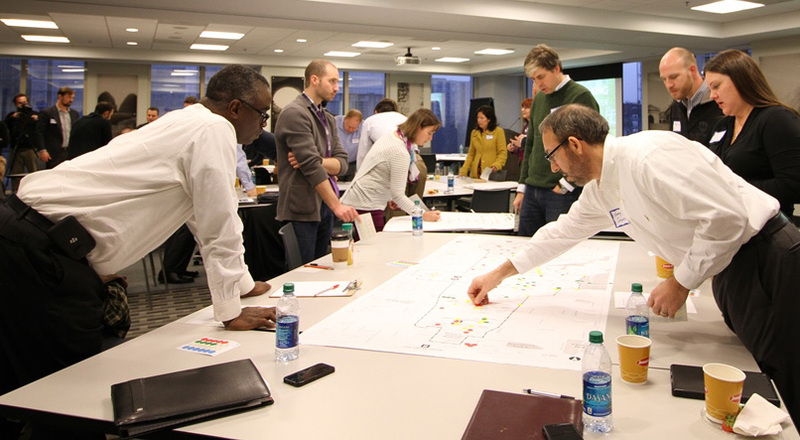 Midtown Alliance populated a selection committee that included MARTA leadership, Midtown community members and professionals who work in the local art industry. At the end of the rigorous review process, Atlanta artist Andrew Catanese was chosen for his lush natural imagery and narratives, borrowed from Aesop’s classic fables, that celebrate diversity and unity. View bio and representative examples of Andrew’s work here. "Andrew’s tapestry inspired painting style will create a unique setting with intimate vignettes telling stories throughout the plaza," said committee member Anne Tracht. "The use of lush natural imagery will transform the concrete into an urban oasis. We're all excited to see how this work will add a calming, yet invigorating mood to the MARTA station." 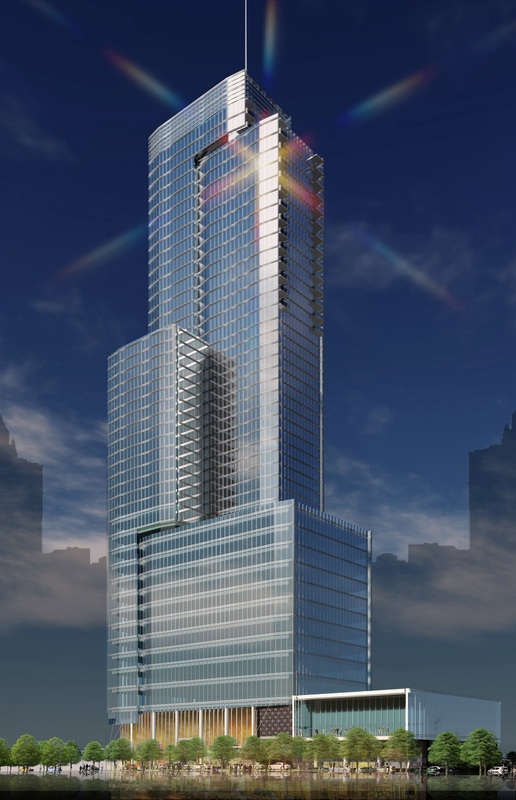 What’s coming to the plaza? A bright mural that will introduce color into the space, lighting features, seating, new landscaping, a stage for busking performances, and more. These elements all contribute to making a livelier open space outside the station that sees some 200K combined rail and bus boardings in a given month. The phased buildout will occur this spring at the station, and will involve some light construction activity around the south plaza. Stay in the loop on Midtown Alliance’s social media channels for updates. In addition to large projects, like the proposed Art Walk, small parks and plazas are a key component of Midtown’s long-range open space plan, which envisions a network of publicly-accessible open space. 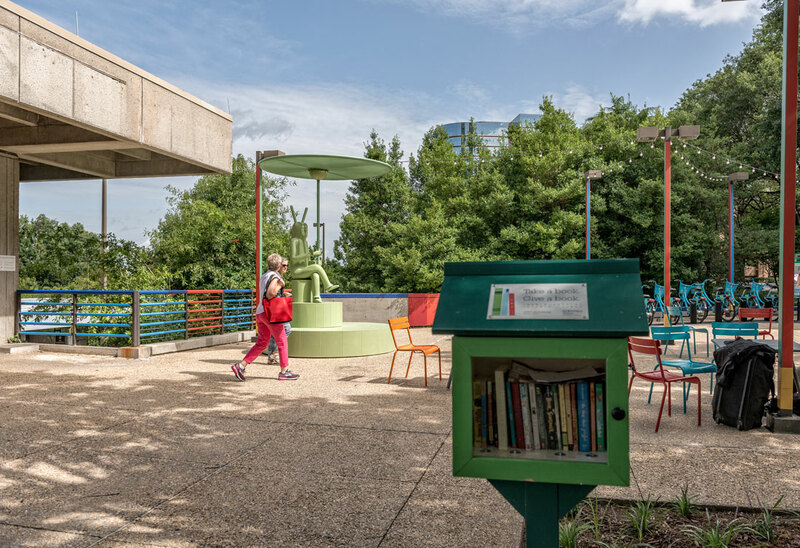 By repurposing vacant and underutilized plazas, like those at Midtown’s MARTA stations, we are able to create highly-localized, drop-in experiences that function like an urban backyard. These lighter-quicker-cheaper projects make it possible to steadily build out an open space system that puts everyone in Midtown within a 5-minute walk of publicly-accessible open space. July's Development Review Committee agenda featured two rehab projects - both focusing on public space enhancements to provide venues for outdoor gathering.